Sorkin: did you -- I mean, I’ve known you now for a long time and I remember we used to have conversations -- there was a moment I don’t know if you remember back when it was Uber and Lyft and everyone said winner takes all only one company can win this thing. You said it’s more like Verizon/AT&T you remember that? John zimmer: absolutely. It’s been a wild ride. Sorkin: we’ve talked a lot about and we’ve shown a lot of the tape from our almost carpool karaoke thing. We needed an xl or something wider for that conversation. Green: it was a little tight. Sorkin: but let’s have a conversation now almost the kind of questions, I think, that were probably asked to you during the road show about the business because there are a lot of people that have not had an opportunity to hear from you on this who are thinking do I want to get in on this, what’s going on with this explain this this is a company that’s had enormous growth but also enormous losses at the same time talk to us about how this company gets to profitability. Sorkin: just to put a fine point on it, if you stopped investing in some of the newer forms of transportation, let’s say scooters and bikes or autonomous vehicles, for example. Not so clear the company becomes profitable automatically either. Zimmer: we’re very confident in the long-term profitability of this model. And again, as Logan said, we’re making a decision that is aligning with our shareholders to go after the long-term opportunity. Sorkin: that’s not correct okay. Green: and we’re a contribution margin positive in nearly every single city. So the margin on the business if you track the numbers we went from 23% contribution margin in 2016 up to 46% contribution margin in 2018 and think long-term will be at a 70% contribution margin. Sorkin: if you’re my mother and you’re watching this right now, you’re thinking do I want to own Lyft what is the time horizon with which you would tell her this could be a profitable company? Zimmer: I wouldn’t be allowed to give forward-looking guidance, but I would tell your mother that if you believe in the idea that American households spending $9,000 every year owning and operating a car and using it 5% of the time, if you don’t -- if you think we can make that more efficient and save people thousands and thousands of dollars by doing all your transportation services in one place, then this is the right company for you. Sorkin: how does that change the unit economics? Zimmer: I actually go back to what we talked about with AT&T and Verizon. When you bring in something like 4g coverage which I will call autonomous, you don’t need to put it everywhere you need to put it in certain instances. For autonomous it will be for fixed routes, under a certain miles an hour in good weather we believe that the driver community is going to continue to grow because there will always be use cases that will be better served by people in cars. Zimmer: I think what’s important to realize is for us to be successful we have to be great at technology including software you named several software companies. And we have to be great at physical operations. We’re here today in our driver service center which we’re building out across the country. It’s not enough to just have software you need to combine that with the real world that’s something we believe we can do better than anyone else. Zimmer: to invest in that long-term opportunity, to add additional new modes, build infrastructure for bikes and scooters, invest in r&d. Not only for autonomous. Actually, the majority of our r&d is being spent on our existing business to push down on operating costs like insurance. So we are investing for the next few years. Sorkin: how do you think about your company versus Uber? I think of it as the pure play transport. That’s sort of how I’ve been describing it. But there are two players in this market. One is significantly bigger than the other. Zimmer: yeah. 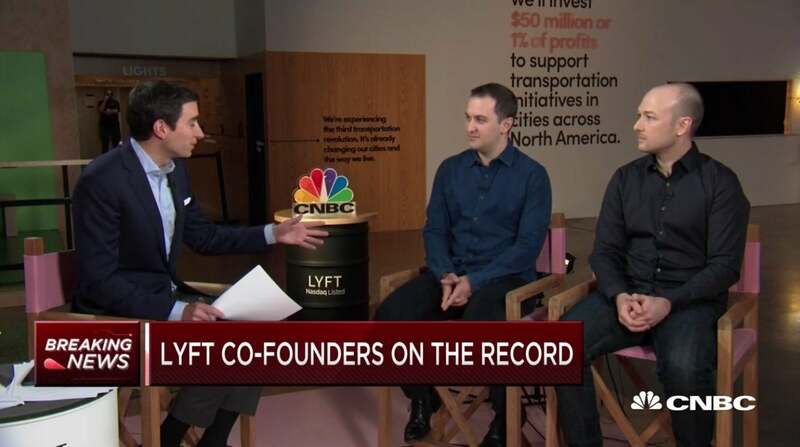 So, one, we’ve been and will always be focused on what we can control and do and that’s paying off people are choosing Lyft we’ve seen our market share go from just over 20% to nearly 40% across the united states and yes, Lyft is focused on consumer transportation, focused on North America, and focused on taking care of our drivers and passengers and that’s paying off. Sorkin how much of this, by the way, you talk about North America the good news there is there’s an opportunity eventually to go international. But where does that fit in the sort of list of priorities for you? Green: we look at international as a great call option. As we look around the world anywhere where there’s just a single player, we think there will be at least two scaled players in each international market eventually. But every time we sort of weighed that trade off, we decided to go deeper in transportation in the u.S. You know, if you look at the entire ride sharing industry, it still makes up less than 1% of all vehicle miles traveled so we’re just scratching the surface of what we can do in the u.S.
Sorkin: when you look at what uber has done internationally, is that something you say to yourself I wish I had done that? Zimmer: no I think we’re really happy with the focus that we’ve had. We’re not, you know, needing to pull away from markets we’re going at the right pace. We’re going deep in transportation and deep in the markets we’re in that allows us to gain the share we’ve gained as Logan said, it’s a great call option down the road. Zimmer: no, I don’t think we can comment on that. Zimmer: I think the important thing is even over the last year, the Lyft platform created 1.9 million flexible jobs. And the majority 91% of Lyft drivers are driving less than 20 hours. Drivers on the platform have earned over $10 billion. Why are they wanting this type of work the typical 9:00 to 5:00 is not getting them where they need to go so they’re using Lyft for suplimental income they’re using Lyft potentially as a single parent that needs more flexibility in their job. And, you know, I think work in this country has been defined one way historically and there’s a way people want to do it differently going forward. Green: we’re big fans of congestion pricing. Green: we are. You know, politicians sometimes say there’s no silver bullet to solve traffic. That’s not there is and it’s congestion pricing. We actually advocated and are very supportive of the congestion pricing program in New York. That’s already gone into effect. I believe it’s collectively raising about $400 million for the MTA system and we think that’s incredible I think, you know, our business is based on the roads. And if the roads aren’t functioning well, our business isn’t functioning well and pricing them creates all the right incentives it and can contribute a ton of money to public transportation it also creates incentives for shared rides which we’re really excited about. Sorkin: what do you say to those -- you know, the whole idea I think when you started this project company, really, was to get -- to actually create less traffic, not more there have been some studies and analysts out there that have suggested between Uber and Lyft, there’s actually now more traffic that you’ve created more traffic in the cities. I’m looking at one study from Bruce Schaller that said it created 160% increase in driving on city streets. Zimmer: yeah. I mean, I think, again, Lyft and our competition combined to be less than 1% of miles traveled in the united states that said, I think there are multiple effects of creating something new. And the investments we’re making in shared rides. The push we’re putting behind congestion pricing to solve the problem.We want as Logan said, no traffic. We intend to be part of that solution. Zimmer: to be honest, we haven’t thought too much about that. We’re focused on the long-term execution. Obviously we believe long-term in the value that we can create. And genuinely are focused on our mission which is to improve people’s lives with the world’s best transportation. 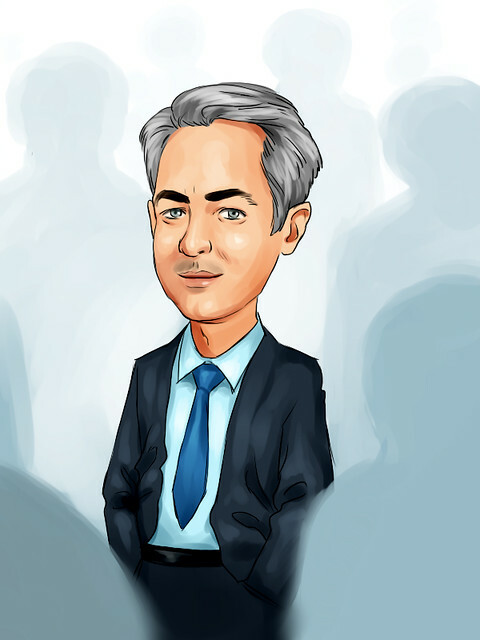 Sorkin: related to that, let me ask you about governance because one of the controversies that’s come up over the past couple months with this IPO but also with companies in the valley across the board is this idea you have super voting shares those shares give you a outsize control of the company. And whether ultimately that’s a good or bad thing. Green: we think almost every mile will take place on a transportation as a service network. We think people will continue to own cars but today when you own a car, you’re dealing with 10 plus different companies to piece together this experience you go to a dealership to buy. You have a separate company, go to insurance separate company to service it you’ve got to register it, park it, tow it, clean it, fuel it, charge it. And at each step of the way, you know none of these experiences are integrated with each other you are paying retail at every step we are quite confident that we can create a single better consumer experience and use technology and on the ground operations to create a better customer experience and we could use the scale of our network. Last year over 30 million unique riders across the country use lyft it’s almost 10% of the population and we can use the scale of our business and that leverage to deliver better costs at a better experience that’s the magic of service. Right? We’ve saw this play out in the entertainment industry people used to buy CDs and DVDs. Now they stream all their content. It’s a better experience at a better price point. Sorkin: he’s also an agitator. Sorkin: second question Logan, you said in "The New York Times" Elon Musk, Mark Zuckerberg, and Jeff Bezos are people you look up to, role models of yours. What about each? Green: what about each you know, if you look at amazon,I think, you know, it’s – they were the first company ahead of the curve of creating a world class technology organization and getting their hands dirty with real world operations right? They run warehouses. They deliver packages. I think that’s the formula that a lot more businesses are going to have to follow. And that’s, you know, part of the mold we’re building Lyft in. I also love how customer focused amazon is. I think that’s just a critical recipe for any company to be really, really successful. Sorkin: second question because I mentioned Elon Musk.He said the public markets are just a terrible place to be these days that if you’re trying to actually grow a business, why not just stay private? Zimmer: look, we’re ready to be held accountable.We’re excited. I think in our case, I think what we’ve seen in talking to investors that more people are maybe surprised to see the numbers that we’re putting out and I think this is a great part of the process for us, this wasn’t the goal this is a milestone along the way. But we feel like it helps us with additional access to capital. Sorkin: two other quick questions Warren Buffett said yesterday to Becky, no reason to buy in on an IPO did you hear that news? Do you havea thought? Sorkin: what would you tell warren? Zimmer: he’s an incredible investor and everyone can have their own opinion. Sorkin: final two questions are completely selfish one is about tipping how much do you tip on the Lyft app or do you pay in cash? Zimmer: I tip on the Lyft app depends on the ride. Sorkin: and do you get additional stars for tipping? I need to know that. Green: no. It’s separate. So the star rating happens before there’s kind of any information about the tip. So it’s completely unbiased to the tip. Tip what you feel is appropriate to a ride. Sorkin: and finally, I said -- I teased it before you have a very specific ring tone on your phone that I thought the audience should hear on a day like today given what you do for a living. I don’t know if you can play that near your microphone. Can everybody hear that? Do you remember this back in New York you know what that is? Quick: more specifically in your self-described selfish questions, we decided you’re never going to tip again, are you? Zimmer: please tip your driver. Quick: and guys, you said it depends on the ride how much you tip so what’s a good ride and what’s a bad ride how much do you swing? Kernen: hey did john go to Cornell? Sorkin: John is a Cornellian. And a sigma pi guy we were in the same fraternity not at the same time then we met each other, I don’t know, seven or ten years ago. Sorkin: he is doing much better than -- yes. Better looking, doing better, all working out for him.